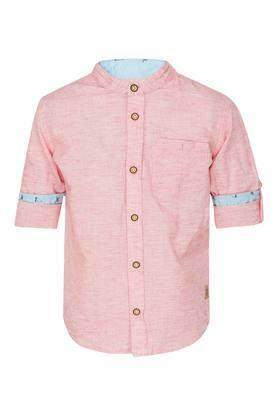 Upgrade the wardrobe collection of your little one by including this shirt brought to you by Flying Machine Kids. It features a slub pattern that renders it fashionable. 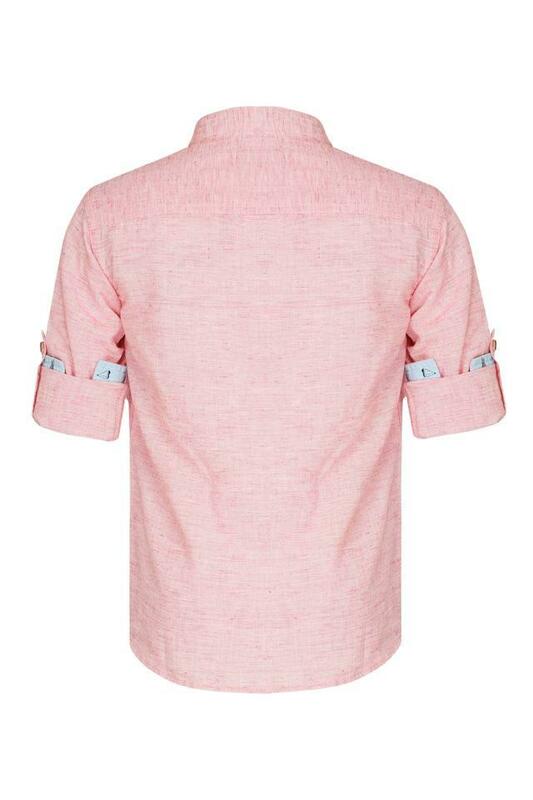 Furthermore, it has been made of premium quality cotton, which will keep him at utmost ease throughout the day. 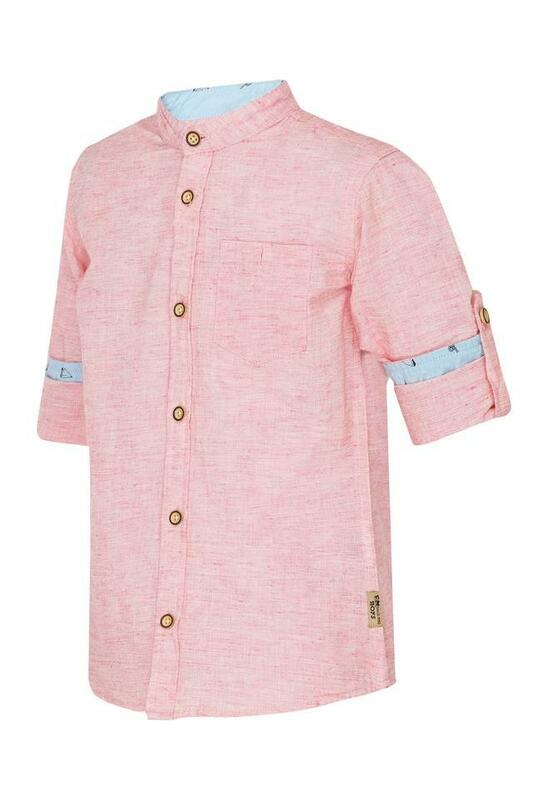 A fine combination of style and comfort, this shirt will be a perfect choice for your son to wear on casual outings with the family. Let him team it with a pair of jeans and loafers for a smart look.